Almond Blueberry Lemon Energy Bite (Vegan + Gluten-free + dairy-free); this no-bake energy bite is loaded with nutrient dense ingredients for a healthy bite that no one will resist! Seventeen days left until Christmas, I find myself riding the bandwagon of stress. Ugh that word I dread! The almost inevitable feeling of too much to do, in very little time seems to catch on no matter how much I plan and prepare. Know the feeling? Let this be a red light to step out of the funky zone and start enjoying the Season (for what really is!). Truth be told, ’tis is the Season to be joyfully imperfect, forgivingly unprepared and run out of bread on Christmas morning, be your fun and corky little self and simply ENJOY! This Christmas I’ve committed to enjoy the season like-a-kid haha. Honestly why not? Their spirit are just bursting in joy and since I am around a few of them (kids), its easy to let go and join in the fun. 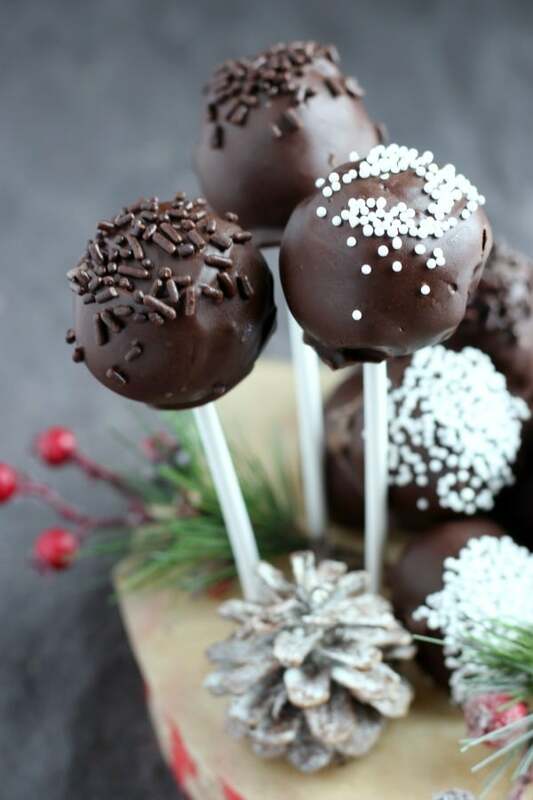 Speaking of which, this week’s recipe is all about having fun, end-of-year festivities, JOY! 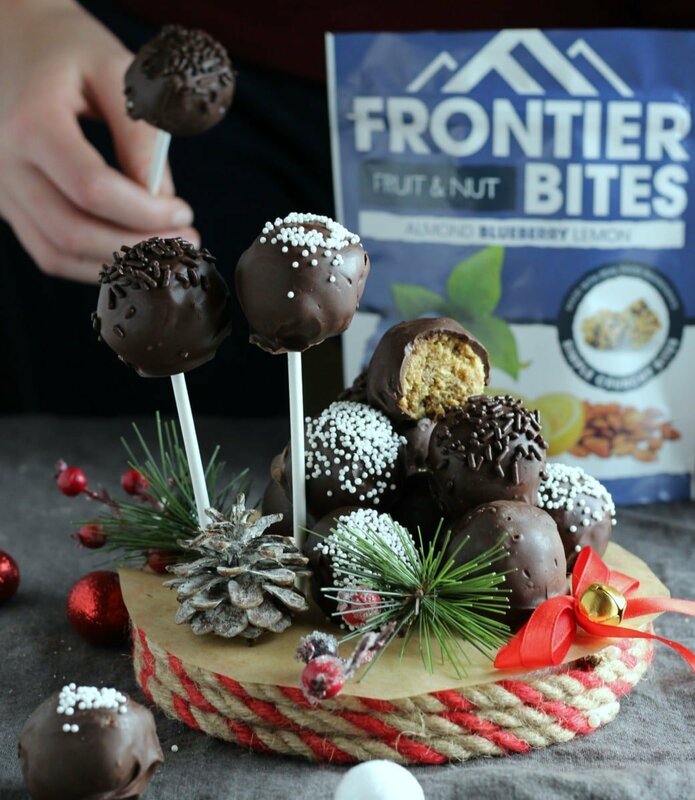 I am thrilled and excited to present to you this recipe with the help and sponsorship of my friends at Frontier Bites® who are great supporters of fun and joyful activities, fueling our wildest adventures through clean and healthy eating. Made with few nutrient dense ingredients, this recipe is as delightful and fun as it is healthy, filling and satisfying. 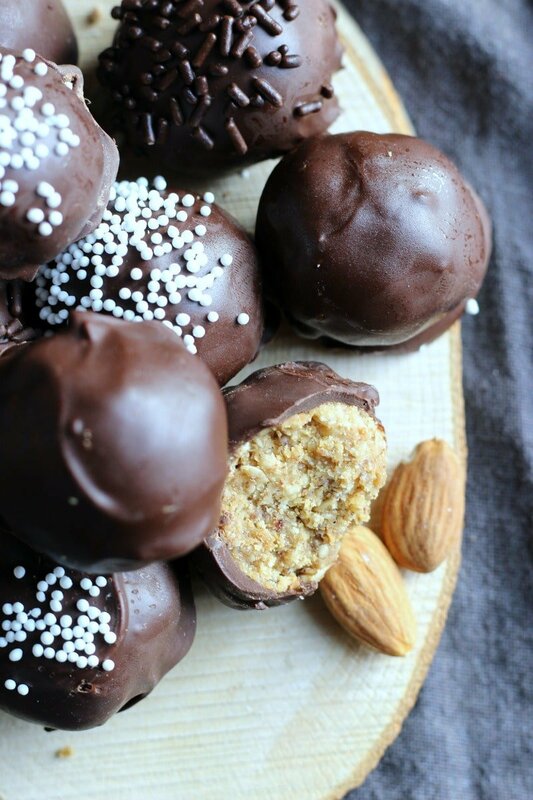 I am personally a huge fan of easy no-bake recipes that I can grab and eat on-the-go BONUS if they are healthy and filling, as there is simply no excuse to why healthy foods shouldn’t taste delicious. These Almond Blueberry Lemon Energy Bite are deliciously gluten-free, dairy-free and soy-free. Simply a well balanced combination of natural ingredients to keep your energy flowing throughout the day, so you can enjoy all the fun. This recipe quickly became a family favorite. As you can imagine it is hard to satisfy the six of us all at the same time. 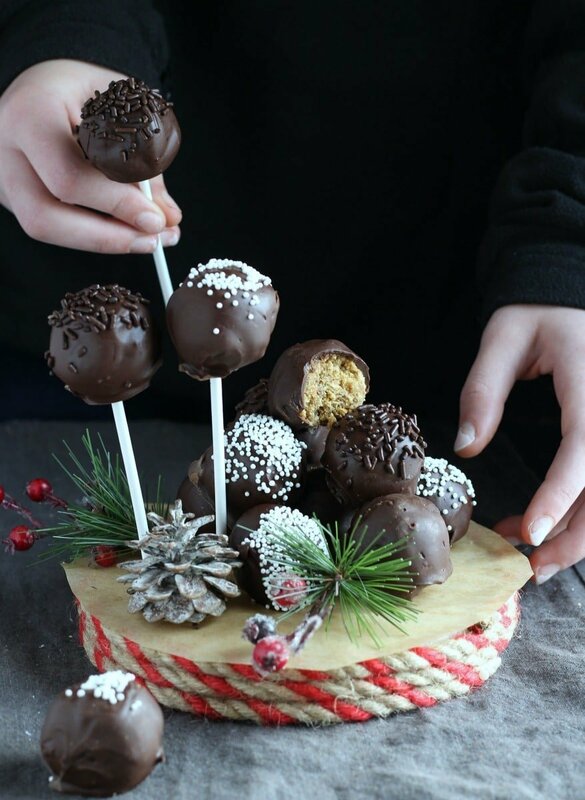 Make and serve as a snack, coated with chocolate for a yummy dessert, in a lollipop for a cute treat for the little ones or make this for a personalized and special edible gift for the Holidays! 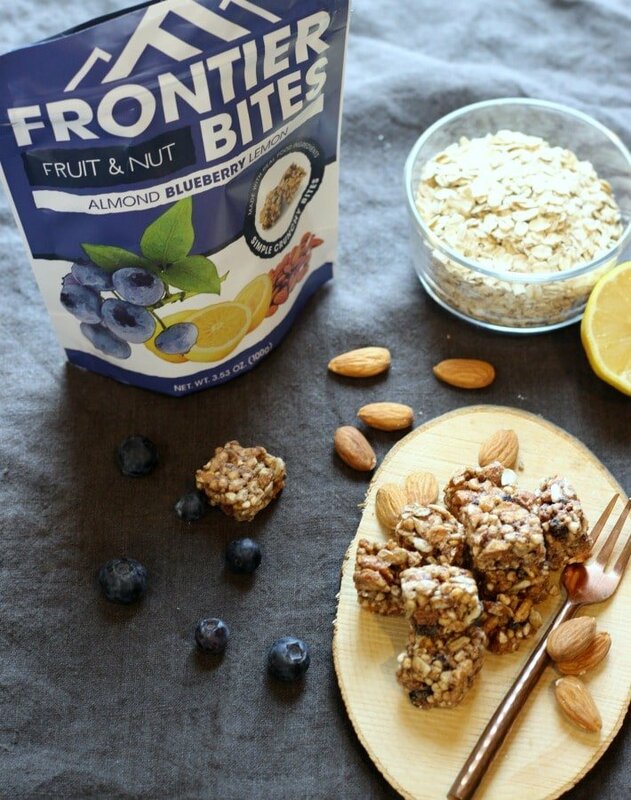 This Almond Blueberry Lemon Energy Bite is a delicious and healthy no-bake treat. Add all the ingredients to a blender cup except the chocolate chips (I used a Vitamix!). 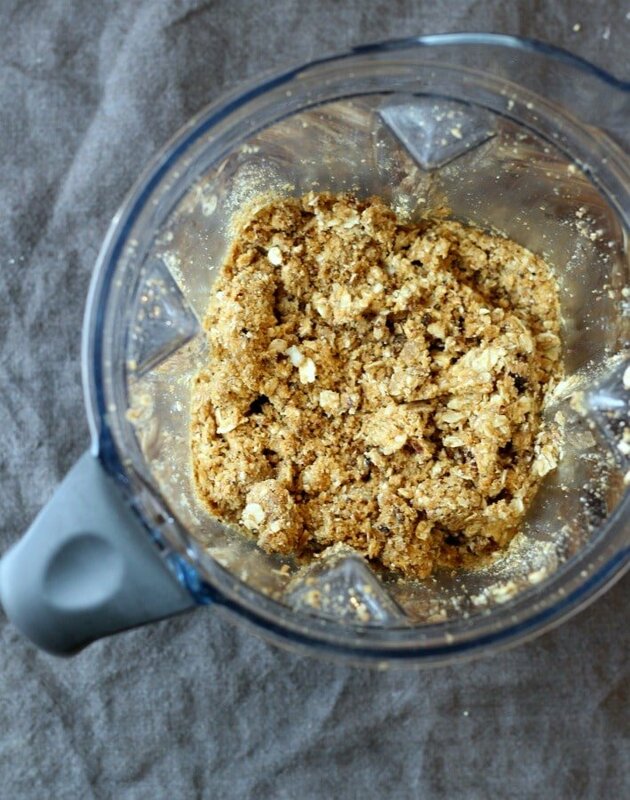 Blend until well combined and there are no large chunks left. Grab a spoon full of this mix and roll into a tight ball. Freeze or refrigerate for 5-10 mins. Meanwhile melt the chocolate chips (microwave or double boiler). Dip the energy balls in the melted chocolate bowl. I used two spoons for this process. 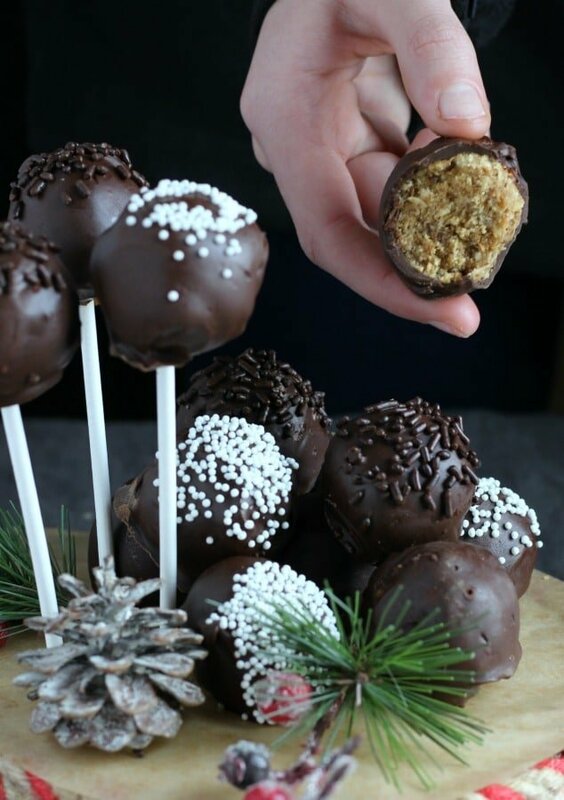 If you are adding sprinkles, pour a few over each energy ball. Freeze or refrigerate for an additional 10-20 minutes. If you are making energy-pop, this is the time to insert the lollipop stick. They are my favorite snack Sandhya, figured I would dress it up a little for the Holidays. Thanks! Oh these would be perfect for the kids get together I’m planing next week. 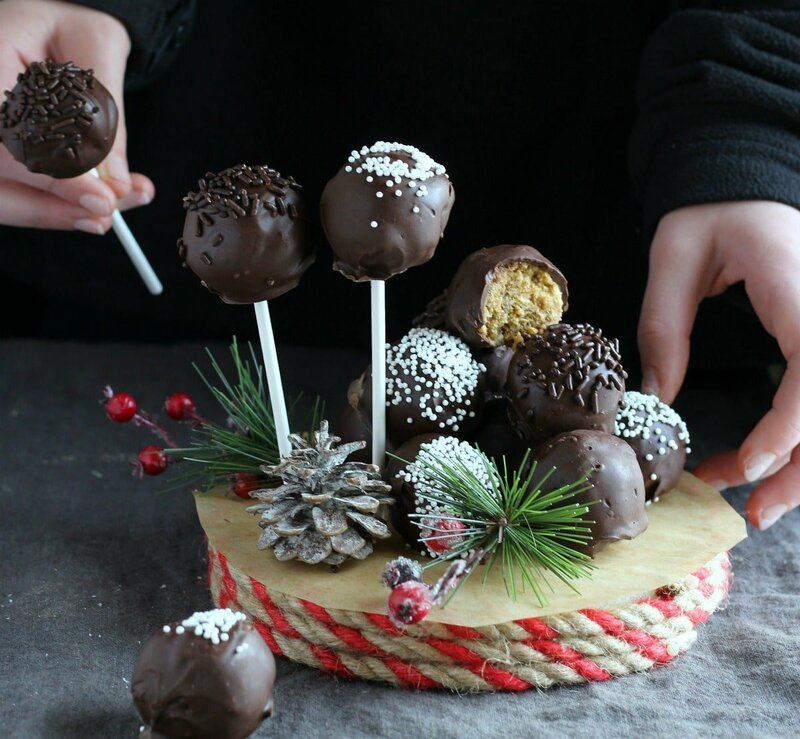 Kids love anything on a stick. Absolutely Veena! thats the reason why I made a few lollipop out of this batch. Hope your kids gathering is fun! 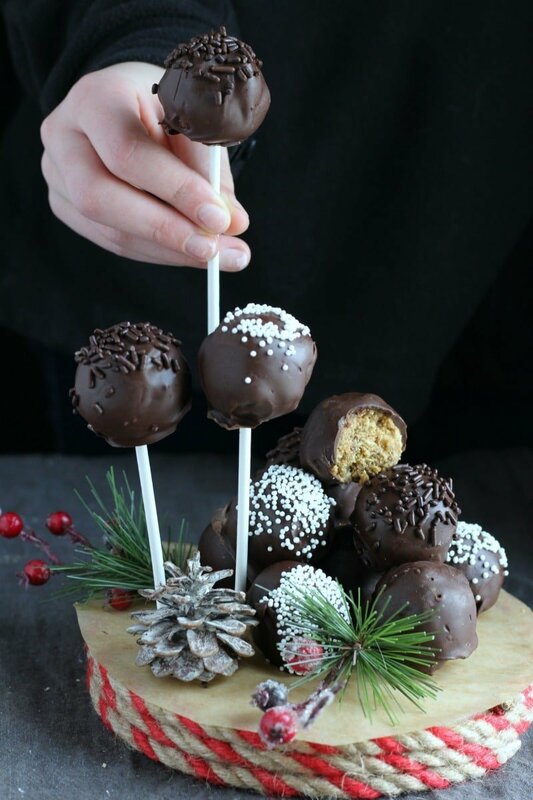 I feel you on the stress – I still have at least half of my gift list to buy for and haven’t started my holiday baking… These energy bites look absolutely gorgeous — maybe they’ll sustain me for my tasks!